As soon as I typed that, I heard a collective “sigh” from a large number of people. Great, another one of those liberal, don’t keep score, let every child win, and give them all trophies posts. Yeah, that’s not my point at all. Instead, Americans seem to have a Darwinian view of youth sports–where only the fittest survive, the weak being lopped off by natural selection, with coaches and parents holding the knife. Is that really what we want for our young children? This Darwinian mentality has destroyed youth sports in my opinion. It has blinded coaches, enraged parents, and disserved our children. League leaders and coaches cheating. I’ve seen super-glued flags in flag football. I’ve seen coaches posing as coaches for other teams in drafts and stacking teams. I’ve seen all-star and select team coaches conspire and favor players of friends over more qualified players. I’ve seen coaches suspended for cheating. Winning with elementary school-aged kids is so important that it leads to cheating? How screwed up could priorities possibly be? What are you compensating for that you have to live out your adrenaline through kid sports to the point where you surrender morality and good sportsmanship? Isn’t it supposed to be about the kids? Kids benched for large percentages of games in deference to more skilled players or to coaches’ children. Rule skirters, who technically comply with playing time rules but manipulate them to maximize bench time for the weaker players, as opposed to following the spirit of the rule intended to balance playing time. The better players deserve more court time. It’s not fair to them to have to sit on the bench while less skilled players get to play. HE WAS IN THE FREAKIN’ THIRD GRADE! Instead of coming home excited about basketball, he came home in tears about not getting to play and about practice being all about the top 5 players. I talked to him about practicing harder and being more aggressive, not giving the coach a choice not to play him, and he came home everyday after school and worked with the basketball outside. And he still didn’t get in. to these young kids’ spirits? Does it make them feel good? I burn up every time I think about it. I mean, seriously, look at those adorable faces! Now, go tear their hearts out at 8-years-old? This is when multiple daddies (or mommies) of talented kids collaborate to get all of their kids on one team. Funny to see a team with 5 or 6 coaches, all with A-list player kids. Does that feel like good sportsmanship? And typically, these kids are placed in all the skilled positions and the other kids are never given a chance. The same player runs the ball every play. The same player brings the ball down the court every possession. The same players man the infield the entire game. No rotations to allow other kids to show what they can do or to get better. Talented kids intentionally flopping in tryouts to get lower draft scores in order to increase likelihood of getting drafted by stacked teams. This is painfully obvious during the tryouts. Kids are not good actors. And they BRAG about what they are doing. And usually with the parent’s encouragement. I can only hang my head in shame. What a good life skill to teach your children–gaming the system. And we wonder why our kids are self-centered? These are often the same kids who bawl when they lose because they have been taught that winning is everything. These are often the kids that celebrate in the losing teams’ faces. Parents arguing and almost fist-fighting during drafts. Fans screaming and even cussing at referees, even teenage referees. I witnessed one man fully decked out in Army fatigues screaming and cussing at a Ref at a youth football game to the point he got so angry that he repeatedly kicked then jumped the fence, charged the Ref, and was escorted from the field by security. At that same game, a mother from the same team was screaming “Break his legs!” while the other team was running the ball, because she felt like the other team was being unsportsmanlike. I’ve seen normally mild-mannered mommies transfigure into raging lunatics and even fighting with other mommies. Mommies are supposed to be nurturers. You can’t nurture with your face all twisted up and red and spit flying out of your mouth. Where are you placing your values? 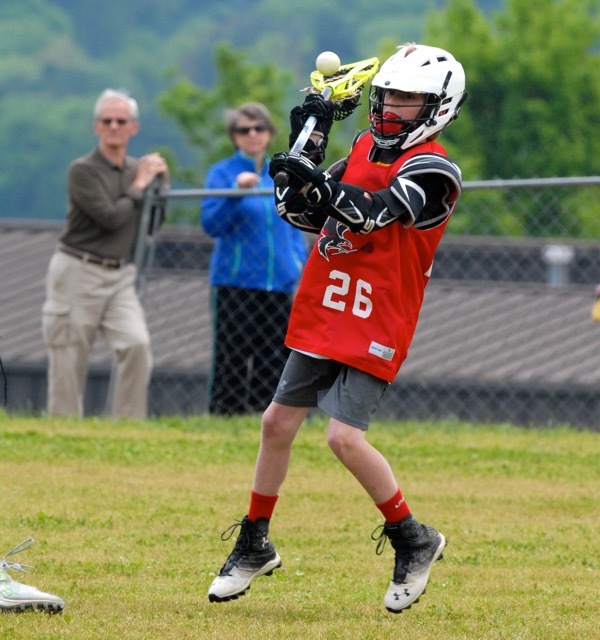 Are youth sports really worth getting that upset over? Seriously, pause for a moment and ask yourself that question. Stacked teams running up the score on un-stacked teams. 20-0, who cares, keep piling it on, and still not let those poor bench players in the game. And the coaches feel like they’ve accomplished something. It proves they are “good” coaches. As if winning with stacked teams makes a good coach. As if winning at the price of your bench makes a good coach. As if dominant player dependence makes a good coach. Allowing dominate player to score all or most of the team’s points without encouraging teamwork. Time and again, the best teams have a stand-out player, and this player shoots every time down the court or runs the ball every down. Sure, the kid is impressive and has a bright future. But if the coach was really coaching, he would teach the kid to pass and work the ball around. Get everyone involved in the game. Develop other players. Such coaching makes the dominant player an even better player overall. Such coaching makes the coach a good coach. He would get what youth sports are supposed to be about. But it doesn’t stroke the parent’s or coach’s ego. And they gotta win BIG. And it has to be their kid. Parents push their kids so hard that they often burn out and end up hating the sport. I’ve seen families crumble over sports, where a parent placed too much energy and value in athletics. Parents go into remorse and sometimes change personalities when it’s all over. Or when their kids rebel against the sport. 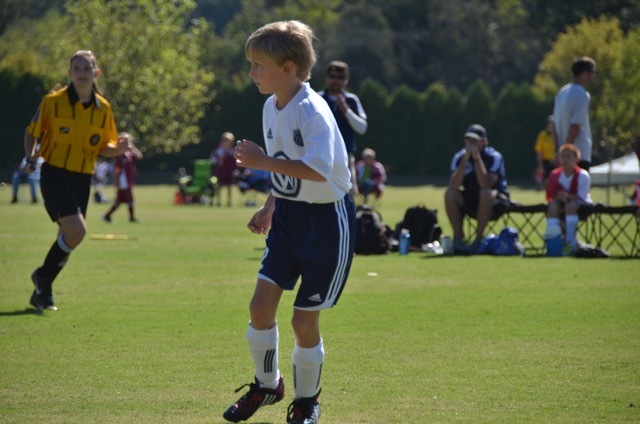 Why is it so important for your kid to be the best on the field instead of him just enjoying the game? Why is it so important that a 3rd grade basketball team win? To the point of destroying the spirits of the kids riding the bench. To the point of encouraging bad sportsmanship. what’s important in this world. For all of the poor sportsmanship, misguided coaching, and embarrassing parental behavior, I’ve also witnessed it done right. My middle school child’s last basketball season was coached by a strongly Christian man, who was a fantastic basketball player himself back in the day when he still had hair (yeah, I’m banking on him reading this one). How did he get it right? He intentionally skipped those draft-flopping kids stacking other teams. He taught those kids skills and how to move the ball around and work as a team. They were one of the worst shooting percentage teams I’ve ever seen, and their first couple of games were lousy, but by the end of the season, guess what? And credit card thinness close to toppling the league’s best team. He got what youth sports are supposed to be about. Kids don’t get better on the bench. They will have plenty of time to ride the bench in older leagues, where winning becomes the focus. He gives all the kids court time. And he has been highly successful in the win/loss category, taking one of my kids to the tournament final. Another season they didn’t do so hot, but they all played, developed, and had fun. What else matters? 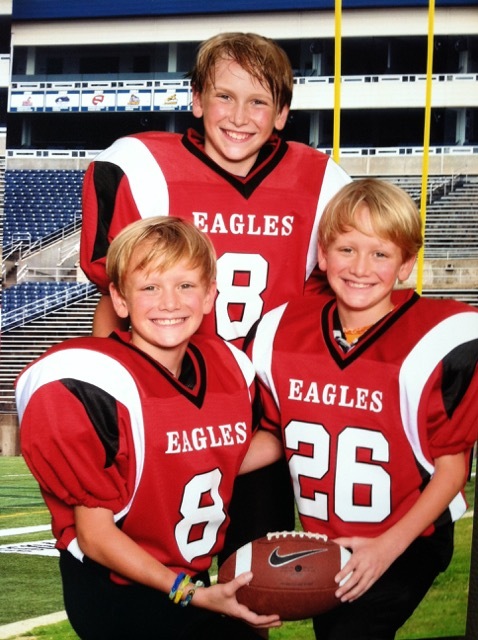 An ex-NFLer coached two of my kids one year in football. He played all the kids, and everyone got a chance to run the ball. Benching wasn’t a problem. And guess what? That team won the championship. I tip my hat to the ex-NFLer. I would rather my kids be coached by those two basketball coaches and ex-NFLer any day of the week and twice on Sunday. I don’t care about the wins. I care about coaches developing young kids, regardless of their skill levels. That is what youth recreational sports are for. If you don’t get that, you shouldn’t be coaching. Those coaches who stack their teams, bench their weak players, and win every game . . . They miss the boat entirely. They are swimming with the fishes. They are blinded by Darwinism. There is a reason select teams, and all-stars, and AAU leagues, and travel teams are there. The A-listers go there for tougher competition. To hone their skills. To satisfy parents’ dreams of college and pro athletes. And I hope their kids don’t have to sit on the bench on those teams. Those teams are primarily about the winning. to be rejected for lack of abilities. give them the chance to THRIVE. That was a good article, and yes some will have problems with it. Don’t get me wrong, I am all for teaching kids to learn how to complete, and to teach them a work hard and win ethic. That is how the world is. But, as you pointed out, kids are kids and young people’s sports isn’t even about them any more. Add this to how youth sports in so many cases draws families away from God and God’s house, and our priorities are quite messed up. I completely relate. 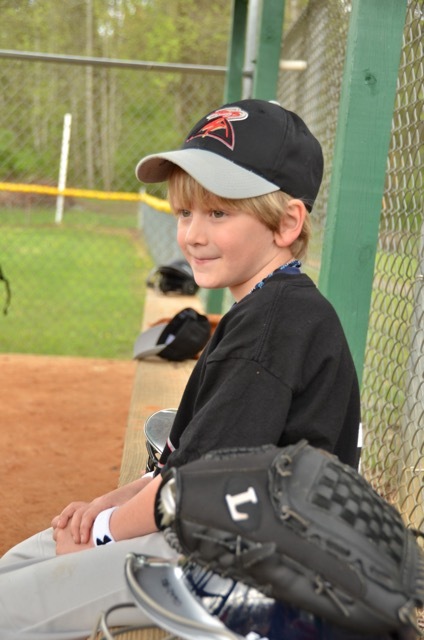 One of my boys absolutely loved baseball, but was a wee bit late age wise getting into the game. He was so often benched it became an absolute discouragement for him to attend games and play. The coaches two kids dominated the game. Unfortunately, the coach and parents had a winner takes all mentality. Would have been so nice if my son were actually mentored. Thanks for this post. This is shocking. My daughter goes to ballet and tap but I hope that I would never become so incessant to resort to living failed successes through her. Yes, shocking is a great word. Especially the part about the superglued flag football flags. So hard to believe anyone would do that it’s almost funny, if not scary. Crazy, but true. I’d love to see Christ return to any field on signal! Thanks for this post. I grew up in a town that I think never heard this. I wasn’t much of a player. I learned early to join band and stay away from the playing field because I couldn’t keep up physically. Unfortunately the bullying didn’t stop at the field. What the athletic kids were taught on the field spilled over into every area of school life. Even parts of my Christian youth group weren’t fun because me being on the team meant the team was at a liability ( there were actually discussions had by “friends” in front of me and I was told I could be on the team as long as I was Ok with just standing still and letting everyone play around me), I usually saved face by staying on the sidelines and watching. Great post! My son plays soccer, and he had a kid on his team one season who had one of those Crazy Moms who would stand by the goal post and yell “instructions” to her son (it wasn’t me). We all felt bad for the poor kid, and then one day he totally flipped out on her during a game screaming at her to leave him alone and go sit down. I’ve never seen her do it since. Our league now has a rule that parents can’t stand near or pace the field lines or goal posts, and the refs do a pretty good job enforcing it. I don’t think your premise here is controversial at all. (Coming from me that probably means it is.) To understand children and sports we have to keep in mind that we are talking about childhood development and social skills training. These are always the paramount underlying concerns. Physical skills development is always secondary. It is a simple truth we sometimes forget it. If we want to know what social skills and childhood development tasks are most important we have to work backwards. We have to start by asking ourselves what kind of society to we hope to become in the future. Do we want a society where business competition is both constructive and supportive of our social values? Do we want a society that rewards everyone’s contributions and not just the winners? Do we want leaders who can challenge other leaders on ideas yet still be friends and colleagues regardless of outcomes? Do we want a democratic society in which the voting minority can expect to be heard in proportion to their numbers and to influence the will of the majority in proportion to the merit of their ideas? There are alternate visions to the society we hope to build in the future, but most of us would not like to see our current social state magnified in the next generation. Working backwards from where we want society to go, what values do we want our children to learn in their sporting and other social activities? Clearly, winning would not be a primary goal. Working together with other and contributing what you can to a team would be important, So would what we call “good sportsmanship”. In winning or losing, respecting all the players as people and treating them with respect and courtesy is a higher value. 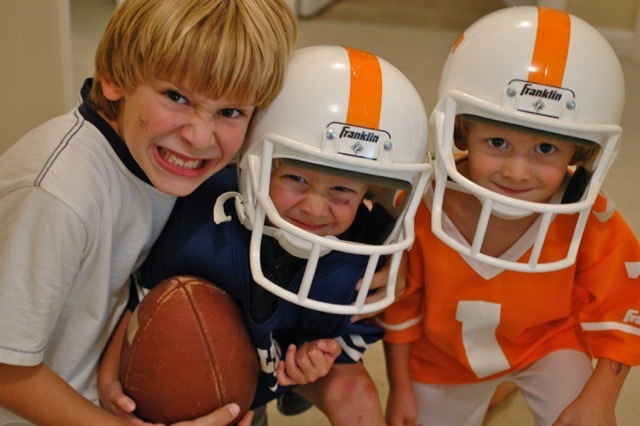 We would want are children to learn that team rivalry does not lessen a rival teams humanity. We are all in this world together. We want children to learn that the values and purpose of the league are greater than the individual goals and methods of the teams on which they play. They need to understand that there is a hierarchy of social values beyond their team that need to be honored. So how are we doing? Terrible. Don’t think that there isn’t a connection between our ruthless business practices today and how we trained children to compete in sports a generation ago. This is no small issue. Nothing related to how we raise our children is ever a small issue. Some deep thoughts, there, friend. Great comments. You may get some flack for this post but not from me. I agree with you. I was always under the impression that sports helped teach kids about working together as a team, how to overcome obstacles together. They don’t seem to teach that anymore and it’s sad and heartbreaking for the kids who love to play but aren’t given the chance. I can see it now, even while ducking. Good post. Regarding youth sports one of the more bizarre moments I saw was when an eighth grader took a hard hit at a football game and a mom from the opposing team was cackling with delight. When confronted she said “Oh that is just what football it all about. 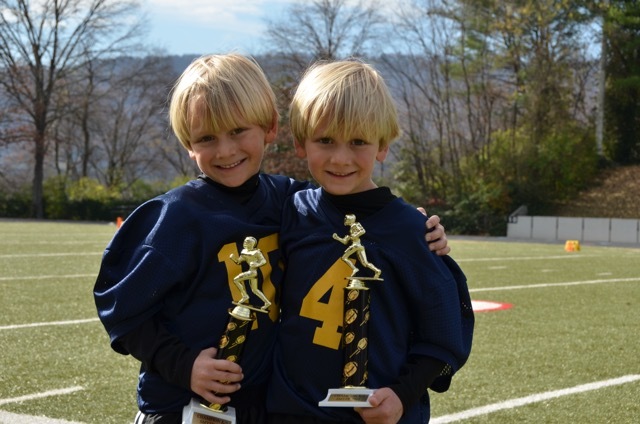 A few years ago my son was in a football program that claimed to be a model of sportsmanship. The culture was that you could honestly not discuss it or say a word if you thought it operated in a different manner. The kid who played quarterback was the son of a coach, and of course coach didn’t follow the program rules for rotating kids in and out. Sheds some understanding of the Gladiators. Human nature gravitates to depravity; the Spirit leads away from it. Some coaches get it and some don’t. I wish the leagues would be more assertive but they tend to be run by the fanatics, at least in our part of the world. This is a wonderful post! My oldest son was a state level competitor in swimming; until, at the ripe old age of 12, our family couldn’t stand the hyper-competitive environment anymore. It became a painful experience for us all. I want healthy and active children; I could care less about trophies, ribbons and records. Part of me would love to do other things, but my boys love sports. Glad you guys were strong enough to pull out and find a better place. I agree with you. I’ve a.wahs thought that. My son is almost 4 and we haven’t placed him in organized sports yet. It’s something we look forward to but dread at the same time thanks to all the things you mentioned. Spot on! Through all of our years, we’ve had great, mediocre and horrible experiences. But even when our team experience is good, I shake my head in wonder at all that goes on around us. Parents are just nuts. First of all, great pictures! I coached high school sports for 25 years. That being said, I firmly agree with you. I have been guilty of many of the issues you bring up. As my relationship has grown in Christ, I have realized that it has to be more about the kids and not the coach. As coaches, it can become too easily about us. I used to yell and scream at my players. Why? Because of my deficiencies of teaching and my ego to be great. And at the age you are talking about, it is very sad. Thanks for sharing your thoughts on this. It needs to change as does the world. God bless you. This is an excellent post. I’m going to share it. Great job. I only clicked the “Like” button, because there isn’t a “Love” button. And this article would only be controversial to the people who don’t get it. Rational people already get it, like the ex-NFLer. I had thoughts of the old – but GREAT – move Major League. Take the less skilled players and make them winners through teaching team work. Let the kids play when they’re young! People are naturally competitive, and that will kick in at some point in the form of honest competition. Not the Darwinian “kill the competition” attitude. First, let them learn how to play the game, the value of teamwork, and let THEM decide if they don’t have it and want to to something else. Or get competitive in a moral, honest way. No controversy here, Mr. Blitz. Just shame and embarrassment to those who fit the Darwinian mold. Seeing the mirror held up and being shamed by it is the only way someone would get mad about this article. Well done! Great piece. I think the saddest thing about it is that, as a teacher, I see that some of this Darwinian competivism is sometimes bleeding through into the education system as a whole. Dog-eat-dog is just no way to equip any child to thrive in the fullness of life for which we are designed. I played basketball and soccer from when I was able to play (age 5 or 6) until High School and continued as a collegiate athlete playing soccer and was a starter in both sports – even in college. I remember the politics involved in sports but not until I was in high school. In college, we had to WORK for our spots. Organized sports helped me to push myself to be better, taught me to rely on others, how to work together, deal with people different than my, and that we win or lose as a collective, not because of one missed shot or goal. We are a team. Fast forward to the current. I’m 40 with 2 young children. I’m a soccer coach for the young ones. What I teach them is basic skills and how to work with each other – not compete with each other. I make sure they leave the field after every practice or game feeling proud of what they did and make sure they had fun. But with all that being said, I have also some kids that are just “naturals” and well superior to their teammates and also parents that really PUSH their kids and maybe don’t have the best intentions. While I agree that every kid does not DESERVE a trophy, that it must be earned, I also believe that young children need to play and have fun. You just never know which child, if given the opportunity, would absolutely flourish. Thanks for the great article and insight. 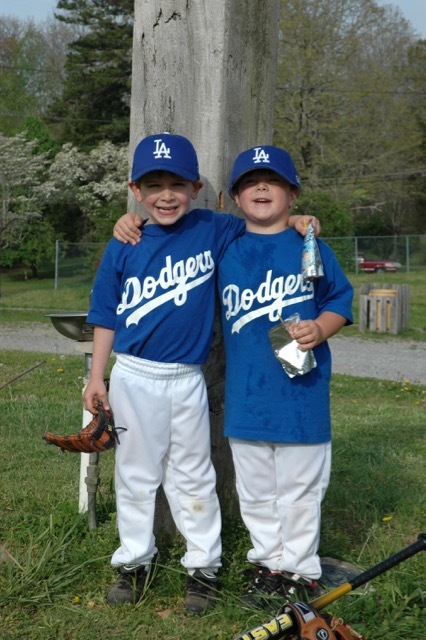 I coached baseball from 3-5 year old T-Ball to the high school level. We just finished our season at the local high school. I think you got it right in this post. We should keep score and strive to win, but it’s more about how we get there. I’m a strong believer in playing to win, but with a focus on building strong future adults, with character, humility, honor, and good sportsmanship. Sports can be a powerful mechanism to prepare our youth for any profession they chose. The lessons of hard work and results are powerful, but not if they are accompanied by poor human behaviors to get there. Unfortunately, the most disappointing aspects of youth sports has been the parents, who take a win at all costs approach to being fans. They create so much drama and embarrass their kids (I have way too many examples). I don’t think they realize the damage they are doing. Can you imagine the power from a parent who supports his kid for being part of a team, regardless of how much playing time they get? At the high school level, not everyone makes the team. Isn’t it important to celebrate being a team player, regardless of his/her role? One last comment, we all need to realize that umpires and referees are in the end, good people. Not perfect, and they have a hard job to do, but they are there out of love of the sport and the kids. Give them a break! Yes, there comes a time (basically middle school and up) when talent divides the herd. My comments are more for the 5th grade down range, where parents shouldn’t have to merely celebrate their kid being on a team despite their role, for the reasons stated above. But even for middle school age, I mentioned the rec league coach who approached it like what I am advocating for the younger ages, and was dang successful. I greatly admired that coach when he could have easily followed the typical play only if you excel model. Some of those kids might continue playing or even make the school teams instead of losing confidence and giving up the sport while riding the bench. I coach them 2nd grade down. I’m not gifted for coaching the older grades. Thats great, you can teach them while they are young. Maybe your influence will last longer than you realize. Stay on course, I just said a prayer for you. Thank you! Prayer needed for everything! I was on Facebook and the following post was on my timeline today on Participation Ribbons. I sort of see it both ways. I don’t believe that sports are what all kids excel at. I know. I didn’t. My mom did not place me in sports. She let me try out for cheerleader in Pop Warner and I ended up being a Varsity cheerleader in high school. My brother on the other hand, she did enroll in sports, and he did excel in both baseball and football. So, like I said, I sort of get it, but… Check it out. Really two different issues. I don’t agree with the participation awards either. But my point in my post is that these early year recreation leagues are for kids to explore interest in sports, develop skills, and have fun. Many of these kids are benched because they are not as skilled as other kids on the team or their skills simply have not been developed yet. There is a ton of evidence proving that athletes develop skills at different ages. The top athlete in 3rd grade may be average in 6th grade as the other kids catch up and even pass that formerly top athlete. I see this with my kids. My oldest was a giant in 7th and 8th grade because he grew so quickly, whereas my second son was very small at that same age and is only now taking off in growth. These young ages are not the time to determine whether they will be good athletes in the future. Instead, they need to be developed. Also, some kids are natural athletes whereas others can be just as good but require practice and coaching to get to that same level. They never get a chance to develop on the bench. 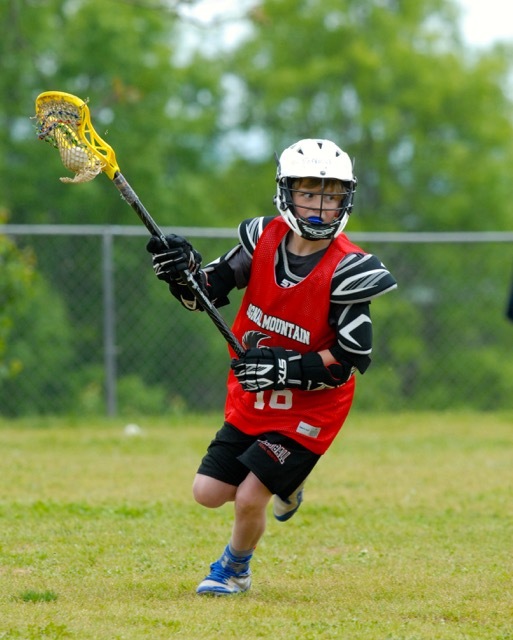 Developing physical skills in a sport should not be the primary goal of youth sports programs. Developing their social skills, their ability to work as a team, their ability to resolve conflicts, their ability to respect other players no matter what their level of skill may be, etc. This, and having fun, are the main goals of youth sports programs. To lose sight of this turns the whole enterprise into a destructively competitive environment not suitable to younger children s developmental needs. 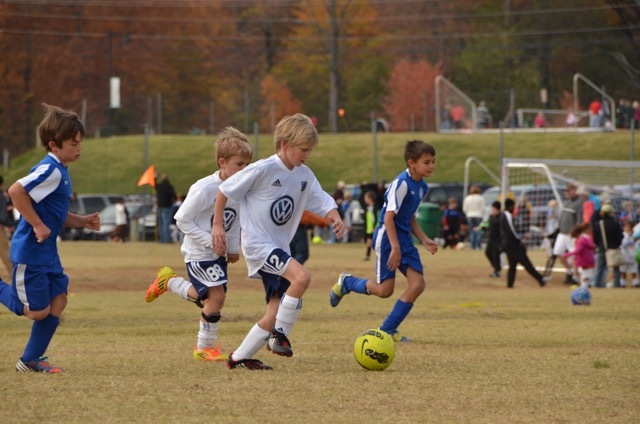 There is plenty of time for focusing on physical skills development as they get a little older. Hmmm. Not sure I will go that far (about not focusing on skill development), but teamwork and social skills (and the other goals you list) are definitely right up there. I don’t think we harm kids by having skill development as a focus. One of the top reasons for youth sports is to develop skills that take them into the next level (whether it be junior high or high school or even higher). 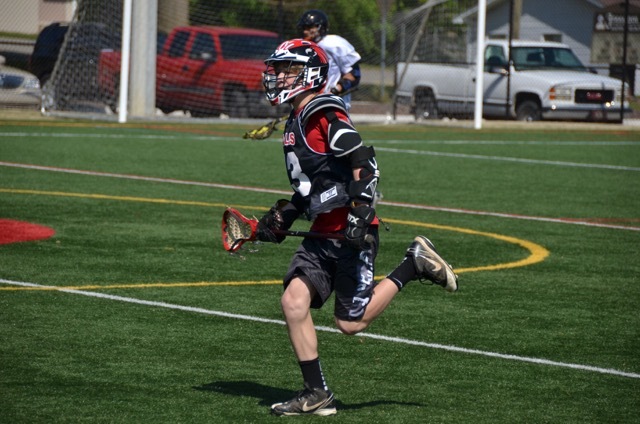 I have seen this play out in a big way in lacrosse, which is a developing sport in my area. We have one of the strongest programs in the State, and those of us who have been a part of it from the beginning attribute that success largely to the robust youth program developing young players. 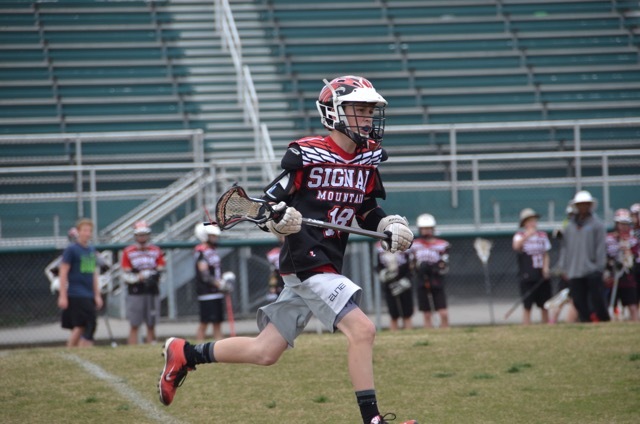 These younger players enter the junior high and high school programs with an unparalleled enthusiasm and skill set that would not exist without the youth program. And I will give props to our lacrosse program–I have seen little of what I criticize here in that program. What happens, though, is parents and coaches inject an unhealthy competitive element that upends the whole thing. 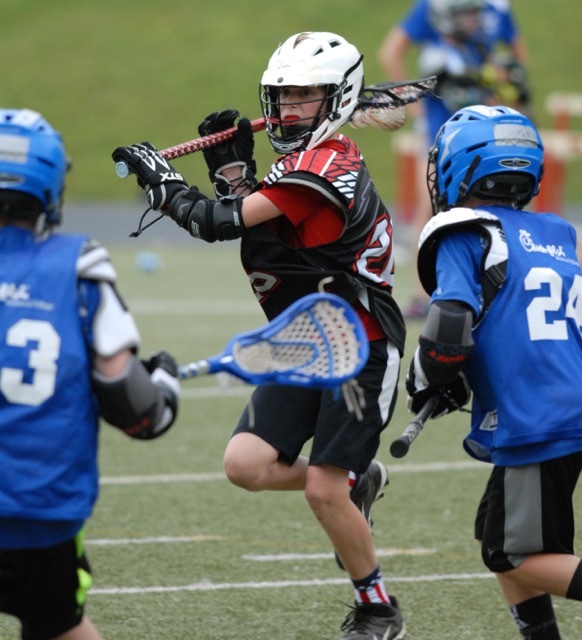 Kids should be having fun, learning the game, developing skills, learning teamwork, and discovering talents that might lead them to pursue the sport further. And I agree with all of the goals you list, except the exclusion of developing skills. 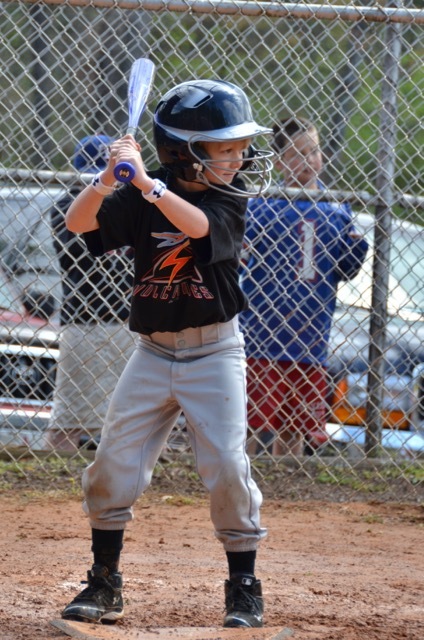 When my son plays baseball, I don’t want him out there just to be on a team. I want him to learn how to bat, how to catch, and game strategy–i.e., skill development. But all of this can be done without the unhealthy competitiveness and Darwinism parents and coaches add to the mix. 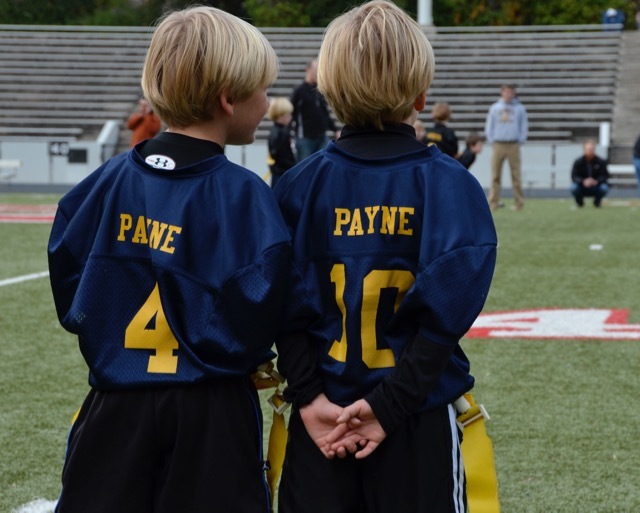 Parents and coaches need to understand that youth sports are about ALL of the kids out there. It’s not for the parents to live out dreams. It’s not a parent’s retirement plan. It’s not making up for a parent’s failures in athletics or a coaches inadequacies. It’s not about the talented kids only. Well that is the exact problem. We judge the success of sports programs by skills development which is subsequently judged by team success. What are sports teams doing to judge effectiveness of other developmental values in younger children? I don’t think it’s an either/or scenario. Like I said in the post, winning should not be the primary focus. The coaches should try to win, but not as the primary objective. Trying to win is simply part of any game. Not much point in playing a game if winning is not an objective. But at the youth ages, success should not be measured by wins. 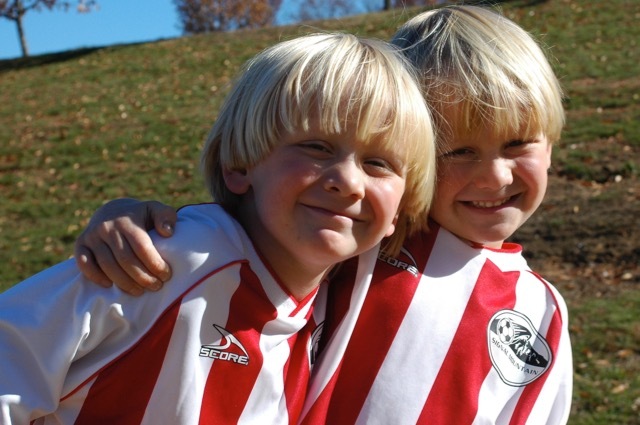 Youth sports should be about fun and developing all participants and teaching them the life skills you mention. Taking the winning totally out of it guts one of the main purposes of sports–competition. I’m not a fan of that. What I am saying is that a coach should focus on developing all the kids, which means giving all the kids fair playing time. If winning is the main objective, then the coaches start benching less skilled players, pressure to win builds, parents start screaming, and here we go down that nasty path we are currently on. It’s a matter of re-prioritizing and accepting what is truly important–which is not that a 3rd grade basketball team go undefeated. When you have seen this done correctly, it is beautiful. Perhaps. I don’t want to reduce sports to a social experiment or experience. We have to be honest that sports are about competition, otherwise who would care about them? Even at young ages, we play to win. Heck, my 4-year-old gets all in a huff if he plays a game with me and doesn’t win. That part is not my concern. However, I’ve never understood why wanting to win must be coupled for some people with unhealthy competition and anger. The same shows up with discussing religion and politics; it seems people can’t have civil and production conversations of those issues anymore. We’ve taken something so fun–sports–and turned them into a burden. We just need to relax and have fun, and need to let our kids have fun. Turning sports into a business at such young ages just makes no sense to me, and it’s so sad to watch. I would want to reduce the prominence, no dominance, of sports culture in America in general. It is a massive opioid keeping so many of our citizen placated and ignorant about how they are being exploited. But I digress. We need to cultivate a less competitive, more cooperative society while there is still time to save the planet. Winning is not the goal. Survival is the goal, and that requires a different social model that the one represented by sports. We have turned business into sport. We have turned politics into sport. We have turned dating into sport. We turned childhood play into almost exclusively organized sport competition and we are paying the price. And in never said skills development wasn’t important, just not primary in young children. Some excellent points made here. It is a time of development for young people. As a former public rec and parks practitioner (now retired), and a mom of a gifted, multi -sport female athlete, I agree with this all! I watched young girls burn out in their teens or throw their arms out in softball, who had pitching and batting coaches and the whole enchilada! All of this is motivated by parents with stars in their eyes who think their kids will get full scholarships to the best colleges. Maybe 2% ever get to that level. Let’s let leisure be leisure and teach a lifetime hobby or pastime! Great post! My son is 8 and plays soccer and thankfully his coaches have been like that. They want you to have fun after each game. He will say, “I’m not sad we lost. Coach says as long as you have fun then that is all that matters. I had fun.” We laugh at his lack of competitive spirit but in reality we like the simplicity in which he recognizes that having fun is the most important part of the game. We won’t vote alike in November, and likely, you and I wouldn’t be coffee buddies, but you are spot on with this one and I was so heartened to read it. Sports should be fun for children and the parents and others with a different agenda should keep their ego-driven motivation off the field. Thanks. I will definitely check out your Blog. You are right, this issue needs to be addressed but not many are talking about it. Way to much pressure and emphasis placed on youth sports, especially K-8. Love, Love, Love this post!! My son plays every sport he can get his hands on – among which is traveling basketball. All his motivation and interest – I’m just along for the ride. The first thing I say to him ALWAYS – after each game, win or lose, is YOU ARE SO FUN TO WATCH! GREAT JOB, BUDDY! It’s almost embarrassing to hear other parents heckle our coach or even our kids! and the refs. This post is SPOT ON.